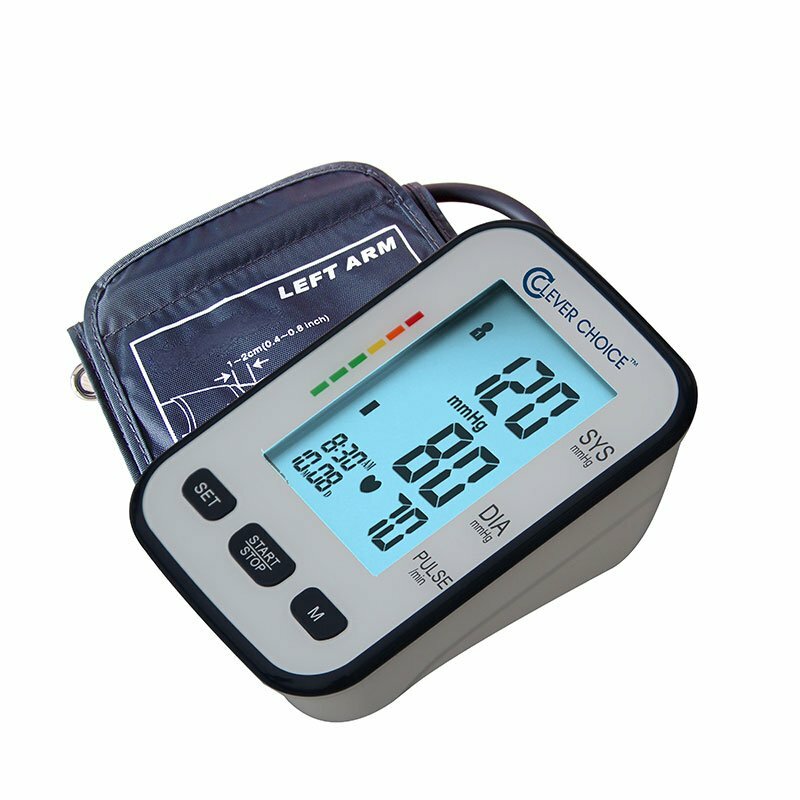 Clever Choice Upper Arm Elite Blood Pressure Monitor Wide Cuff has been designed to offer you an easy to use home blood pressure monitor that offers quality and accurate results. Clever Choice blood pressure monitors are sleek in design and feature large display screens. The Elite model features a backlight display which makes reading the screen easier for those with vision issues. The cuff for this monitor fits an arm size of 8.6-16.5 inches. Clever Choice Upper Arm Elite Blood Pressure Monitor - Wide Cuff is perfect for all your blood pressure needs. This BPM is completely automatic. Just put the cuff on your arm and push start. The meter features a large easy to read screen which you can easily see your results. The Monitor has an easy to understand color coded World Health Organization graph to tell you where your result is on the spectrum! So you don't have to worry about the results! Irregular Heartbeat Detection: Clever Choice Blood Pressure Monitors can detect irregular heart beats. Color Coded Result Rating System: This blood pressure monitor uses a color coded result rating system based off of the World Health Organization guidelines.